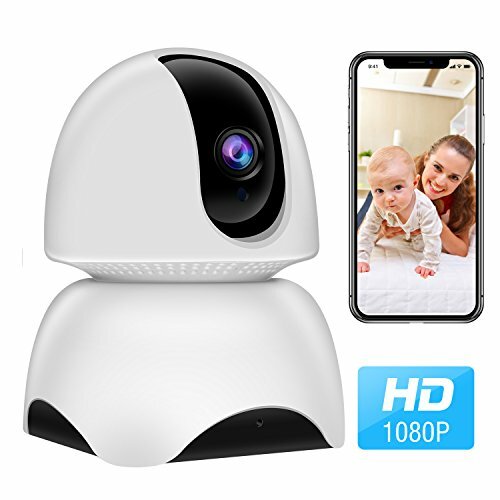 With a 1080P high definition video, H.264 image compression and 1/3 inch CMOS sensor, the Moderway wireless home security camera provides 360° Coverage View and 24/7 instant living stream to help you keep everything and everyone you love safe, ideal for monitor your baby, elder, pet, nanny and home. 1. This security camera only supports 2.4GHz band, does not work with 5GHz WiFi. 3. Please turn off this IP camera before inserting or unplugging a SD card. If you have any questions about this product by Modernway, contact us by completing and submitting the form below. If you are looking for a specif part number, please include it with your message.